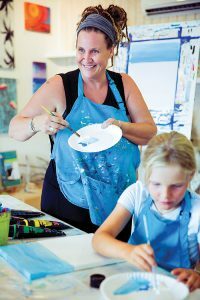 Artist Lucie Winton Stubbs’ classes are a chance for friends, family to have fun while creating a momento from their holiday. Phthalo green is squeezed onto a paper plate palate, along with ivory white and ultramarine blue. Seascapes are being made. Little hands go for paint brushes after turquoise aprons are tied on to keep the mess to a minimum. 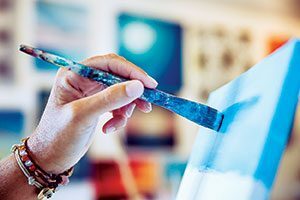 The artist demonstrates on her canvas to the family how to make the stunning color of our oceans appear on their canvas with these three paint pigments. A little green, a little blue, a lot of white. Azure is made. Driftwood Studio is a working art studio which primarily sells the work of the owner herself, Lucie Winton Stubbs. However, look inside and you will see there is a lot more happening behind the scenes. For Lucie, her workspace feels like an extension of her home. It’s where she plays music and invites people to take a seat, stay a while, and chat. “I want people to come in and feel relaxed,” she says. Beyond selling her own work, and that of other local artists, Driftwood Studio also offers various art classes. In addition to adult, kids and family classes, there are also private corporate classes available. 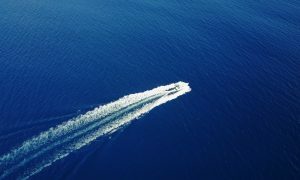 These groups can include up to eight people in the studio, and up to fifteen in a private villa or even on a yacht. Groups pick their own subject and the sky’s the limit. Lucie wants people to come out of her class happy with their creation, knowing the feeling they have inside will shine through. 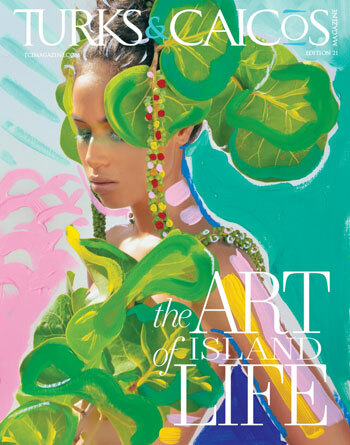 “If you’re happy with a piece, it doesn’t matter what anybody else thinks,” she says. Children come into her studio ready to create their masterpiece and add a little more color to their world. Adults typically paint slower and are more likely to strive for perfection, she says. Lucie hopes they feel inspired to let their inner child play and find most students are ‘blown away’ by their accomplishment at the end of a class. 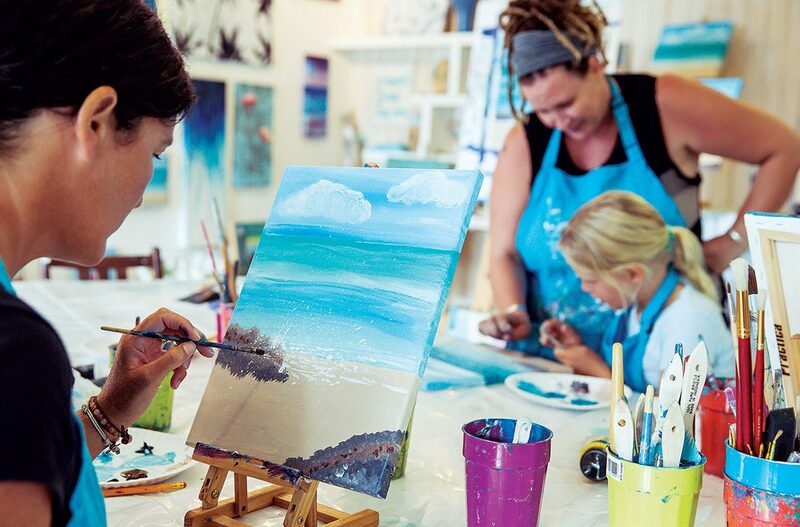 Her hope is that although some people will not be 100% happy with what they have achieved, they will be inspired to go home and pick up a paintbrush. Tourists are welcome to join or book classes. “It’s not the typical thing you might do on vacation, but you’re actually taking away a memory of what you’ve created here,” explains Lucie. A memory in the form of a vibrant, personal painting.